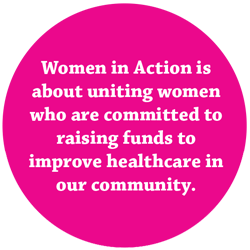 Formed in the fall of 2016, Women in Action (WIA) is a united membership of dynamic and dedicated women with a shared philanthropic interest of improving healthcare in Thunder Bay and Northwestern Ontario. We network, celebrate, collaborate and, together, we decide what healthcare priorities mean to us. Currently, funds raised through membership are being set aside to improve the space and privacy for 110,000+ patients seen in the Emergency Department at the Thunder Bay Regional Health Sciences Centre each year. 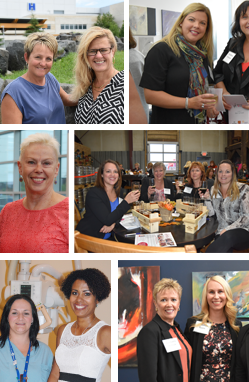 As a group, we take the opportunity to get together throughout the year to network and support each other and to have a few laughs, all while knowing that our membership dollars are hard at work to support healthcare in our community. All women are welcome to join Women in Action! Act as healthcare champions in Thunder Bay and Northwestern Ontario. Promote the importance of philanthropy in healthcare and the positive impact of making a gift. 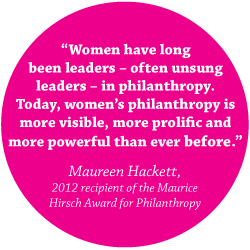 Develop a strong network of philanthropic women and celebrate the impacts of our contributions through social gatherings. Our Emergency Department at our Hospital is one of the busiest in Canada! Designed almost twenty years ago, our Emergency Department helps 110,000 patients per year in a space meant to serve approximately 80,000. There are severe over capacity issues impacting wait times, patient/family/staff safety and overall patient experience. Hallways are overcrowded and, despite best efforts, privacy and dignity can be compromised. Funds raised through membership have a direct impact on these issues. A more functional and efficient Emergency Department space, designed to serve the increased need for services. Additional treatment spaces to address over-crowding issues. A new PRIVATE treatment area to ensure patient privacy and dignity won't be compromised especially for mental health patients. A re-designed triage area for more privacy and accessibility. Membership is open to any woman wishing to be a part of Women in Action. Our strength comes from the open and diverse nature of the group, so we want to welcome everyone we can. Members will be required to sign a pledge agreement committing to a monthly donation of $41.67+, or annual donation of $500+. A charitable tax receipt will be provided for the full amount of the membership donation. You may choose to make a monthly donation of $41.67 or above. You may choose to make an annual donation of $500 or above. Yes. For monthly donations you'll be mailed a charitable tax receipt at the end of each year, totalling that year's donations. For annual donations you'll be emailed your tax receipt immediately, then mailed all subsiquent receipts in the same month every year.